Our new coalition government is faced with many challenges – much of them relating to Auckland. But one issue never discussed in the election campaign but one I believe the new government will have to tackle sooner or later is Auckland Council. Like many of the other problems Auckland Council is a legacy of the former government. The so-called ‘Super City’ it must be remembered was Rodney Hide and Steven Joyce’s baby and was imposed on Aucklanders without any vote. In fact it was one of the first things the National-led government did. It was created in great haste and now, as the saying goes, it is being regretted at leisure – by an increasing number of Aucklanders. Recent disclosures about an unbudgeted blowout on staff salaries amounting to $42m, ‘communications’ costing $45.6m per year, and $1.3m spent on business class travel and luxury hotels, unhappily have coincided with widespread public complaints about the council’s failure to manage even basic services such as mowing the grass in local parks. The last time Auckland Council surveyed the public, in 2015, only 15 per cent were satisfied with the council’s performance and only 17 per cent said they could trust the council to make the right decision. One year into the Goff mayoralty it would be surprising if the situation is any better. In fact given the recent bad publicity it’s probably even worse. As it happens one of the most unpopular aspects of the Super City is the CCO Auckland Transport (AT). Now ensconced in plush harbourside offices at the Viaduct, AT is the cause of rising public resentment. Instead of a publicly-benign quietly efficient transport agency, AT’s image is the opposite. It has become a lightning rod for public discontent. Easily the majority of the complaints I receive as a councillor relate to AT’s failings. Despite being allocated billions of dollars over the last seven years, (most of our rates go to AT) too many Aucklanders are still complaining that their bus does not turn up on time, or worse doesn’t turn up at all. Meanwhile AT staff numbers have grown from about 1000 in 2010 to around 1600 today. There is too, I have found, a rather bad culture within AT and what happens internally in an organisation tends to be reflected externally. Top-heavy, top-down, with its directors, councillors, local boards and public fed carefully processed information, AT has become increasingly unaccountable and wilful. The skewed ‘business case’ supporting light rail down Dominion Road to the airport rather than a comparatively short heavy rail link is a case in point. 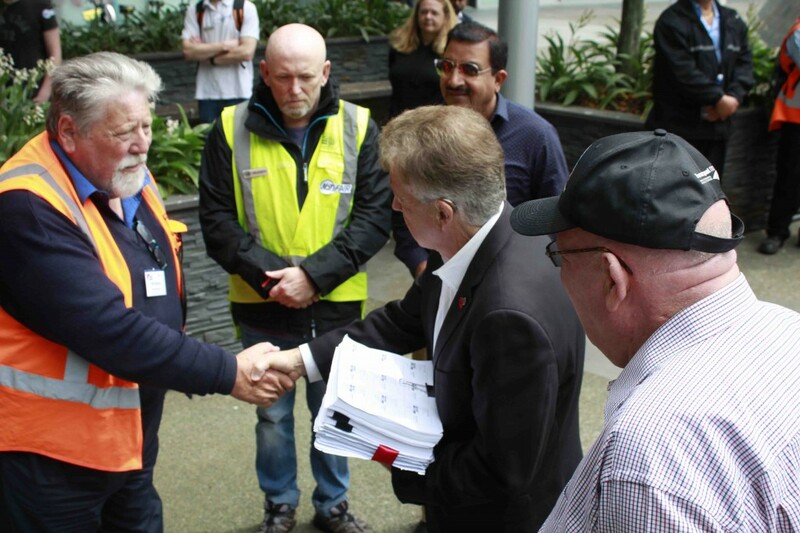 Last month I was asked by officials of First Union (bus drivers) and RMTU (train staff) to present public petitions to AT management. These related to plans to make train staff redundant and AT’s interpretation of the bus contracting system which acts to drive down bus workers’ pay and conditions. (Needless to say AT ignored the petitions and now strike action from RMTU members is pending). I can say from my own experience that the success such as we have achieved in public transport in Auckland has been very much due to the efforts of our train and bus staff. Working split shifts, long hours, holidays and weekends to serve the public, they deserve our thanks. But while transport bureaucrats are happy to enhance their own pay and conditions what they plan for the workers who actually do public transport is a kick in the teeth. But it’s not just public transport workers who have become embittered at AT. Currently there is growing frustration across my ward, from Parnell to Westmere, at AT’s interpretation of what ‘public consultation’ means, especially in relation to cycleways and the removal of on-street car parks. What has happened at West Lynn is particularly unfortunate. 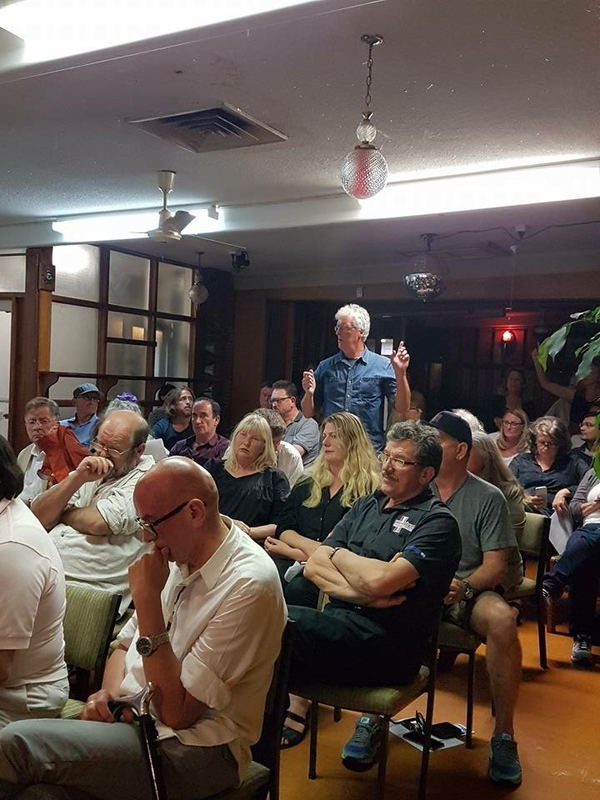 Back in 2016 (against the advice of myself and the Waitematā Local Board), AT pushed through the cycleway consultation during the local body election interregnum. There was little apparent willingness to take into account community views. I know because I actually tried to participate, suggesting to AT officers that they trial a cycleway down the median strip, in the centre of the road. This approach is used successfully overseas and does not impinge on car parks or traffic lanes. It’s a smart use of a very limited resource. But the AT people weren’t interested, it was apparent they had already made their minds up. I concluded then that the ‘consultation’ was a sham so I can well understand the incandescent anger at the mess AT have made of Richmond Road, Garnet Road (where 18 trees have been cut down) and the West Lynn shopping centre. The Richmond Road cycleway not only restricts traffic flows, including buses, but removes car parks vital to the livelihood of small retailers. They also take away parking from homeowners, who do not have off-street car parks. John Elliott recently undertook a survey in West Lynn and found that 16 out of 18 business people polled said ATs consultation was ‘poor’, one said it was ‘adequate’, one ‘didn’t know’. On the question ‘Did AT listen to submitters’? 18 said ‘no’ and not one said ‘yes’. The problem is AT is too big, and has been given too many responsibilities and too much power. With that has grown a corporate arrogance. AT needs refocusing, downsizing and a culture change but so does the parent Auckland Council. Sooner or later the new government is going to have to deal with both. This article appears in the December 2017 issue of Ponsonby News.